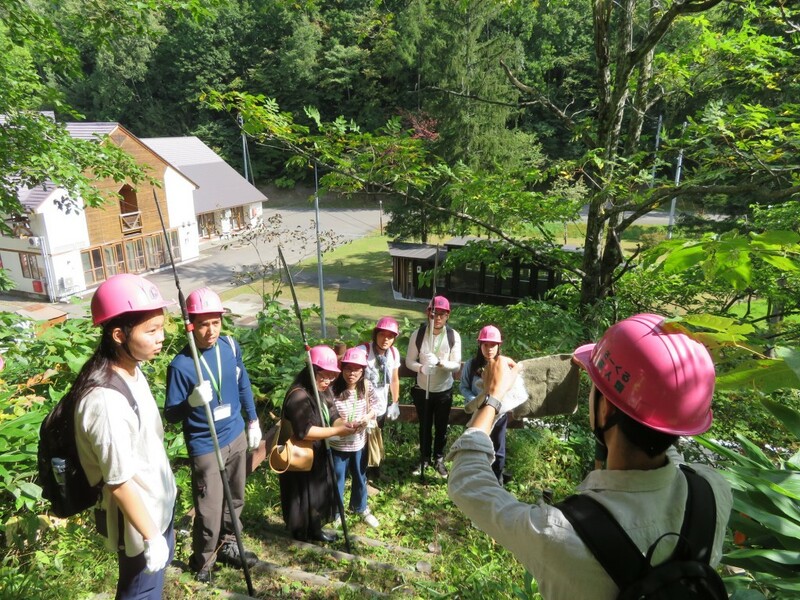 We all wore stylish pink helmets and each group carried a long sword like Japanese nokogiri (hand saws) before heading into the forest. Fujiwara san explained the flor and fauna of the forest and showed us the Todo-matsu trees, a tree native to Shimokawa. The Ainu people refer to this tree as Fupu for the many bumps and grooves you can feel on its bark. Using the long extended saws, each group cut down the lower branches that we will use to make our own essential forest oil! How often can you take a part of the forest home with you?! So cool. 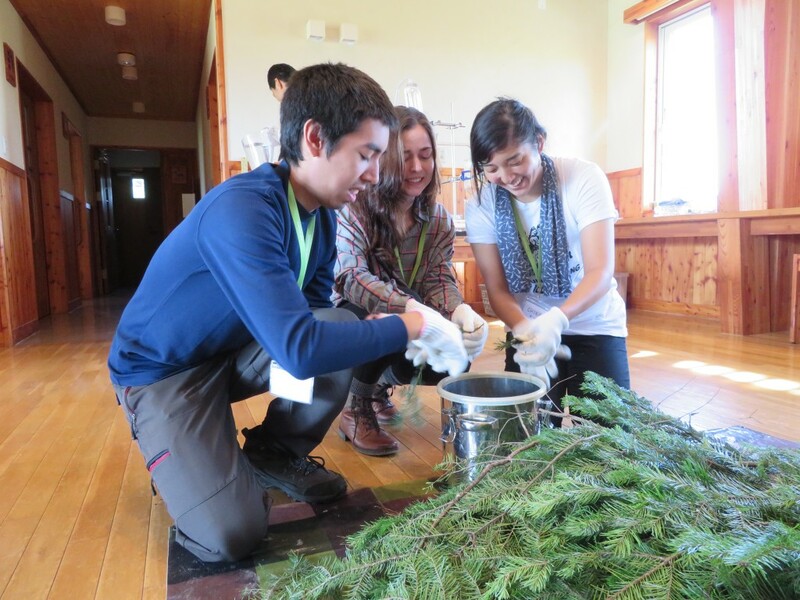 In the past foresters just tossed the lower branches of these trees but the people of Shimokawa decided to take this waste to create a very useful product to keep everyone feeling relaxed and smelling fresh! 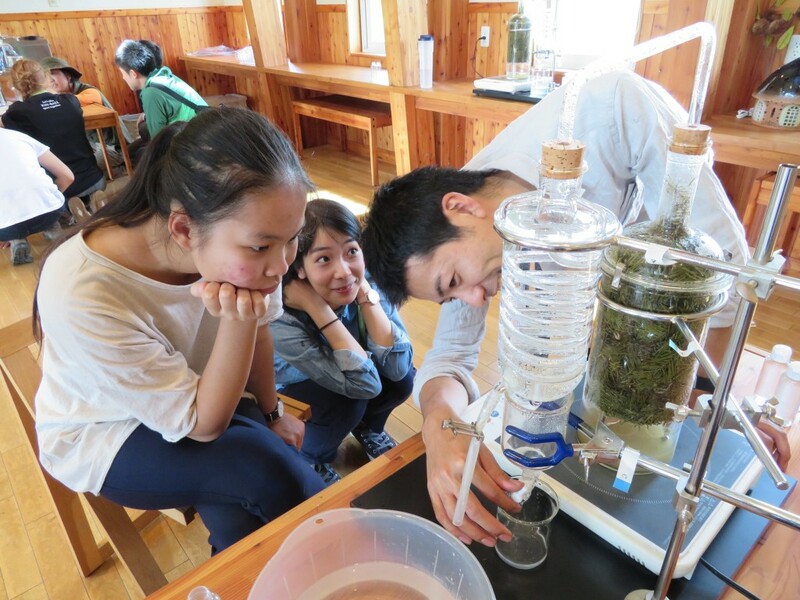 After cutting the branches, we headed back to the park community center where the common space transformed into a science lab with many glass beakers and distilling apparatuses. I felt like I was back in chemistry class! We then stuffed the glass containers with fresh branches and let the water boil to carry the aroma oils rise into the second vessel. The next step was most critical. A make or break moment!! 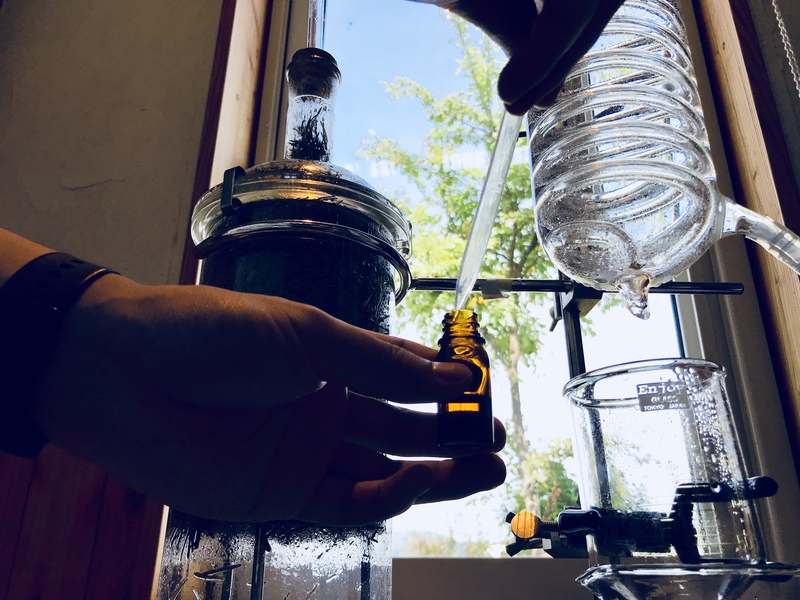 Luckily everyone today was successfully able to separate the oil from the water and we were gifted small bottles of essential oil and pine aroma water! What a unique process that many of us had never experienced! There are so many benefits we were gifted by the forest. The oil can be used to help us relax, keep our toilet smelling clean, and be used as a linen spray. We were able to breathe in fresh air and be among beautiful strong trees thanks in part to sustainable management. We all walked away from this forest experience feeling very thankful and also hungry to learn more! 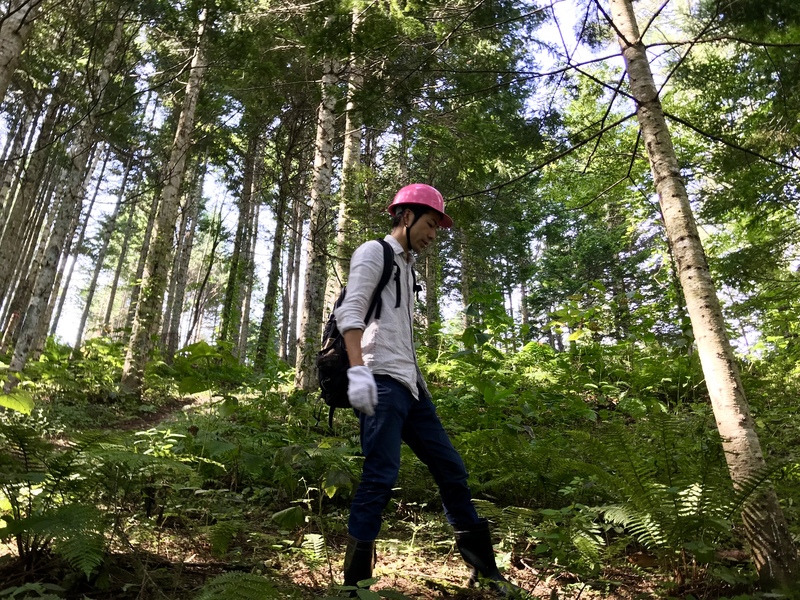 We cant wait to go back and explore more about the forests of Shimokawa.